With much of Indonesia surrounded by ocean, chartering a boat is undoubtedly an efficient (not to mention enjoyable) way to explore these marvellous islands, some uninhabited and as yet unnamed, a veritable feast of natural beauty. On a personalised journey tailor-made by our small, expert team, you can discover a jewel box of uninhabited islands edged with postcard-worthy beaches and fringed with pristine coral reefs, visit traditional villages and get immersed in local culture, trek through jungle to spot fascinating wildlife, surf epic waves or dive to your heart’s content. Indonesia claims a truly impressive title: the largest archipelago on the planet. Made up of some 17,500 islands of varying shapes and sizes, this country boasts a diverse and dynamic landscape. One trip alone could barely scratch the surface of the many great sights to be found in Indonesia, let alone her surrounding waters, comprising the Indian Ocean, the Java Sea, the Timor Sea, the Banda Sea and the Celebes Sea. Stretching north and south of the equator with a length of approximately 5000km between Asia and Australia, Indonesia is as broad as the United States is between San Francisco and New York – which also equates to the same distance between London and Moscow. The main cruising ground in western Indonesia is the beguiling Komodo National Park. 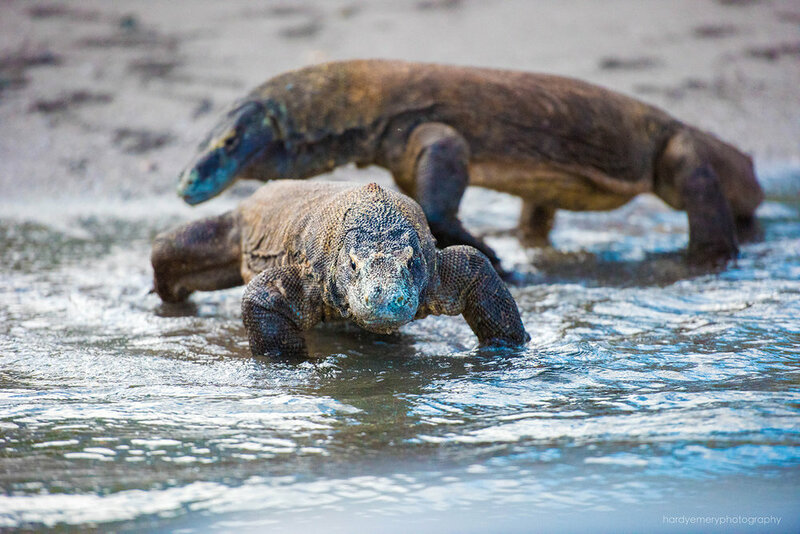 This UNESCO World Heritage site is home to the endemic Komodo dragon and also offers a plethora of dive sites that are frequently listed as some of the best in the world. Accessed through Labuan Bajo, the park’s 29 islands are mostly uninhabited and include the three main islands of Komodo, Padar and Rinca, with imposing ridgelines blanketed in windblown grasses and lontar palms. Our yachts are also available for charters that take in Bali, Lombok, the Gili Islands, Sumbawa, Sumba and the Alor archipelago over the summer season. Often described as one of the most extraordinary environments on the planet, Raja Ampat is wild and remote – located off the northwest tip of Bird’s Head Peninsula on West Papua. 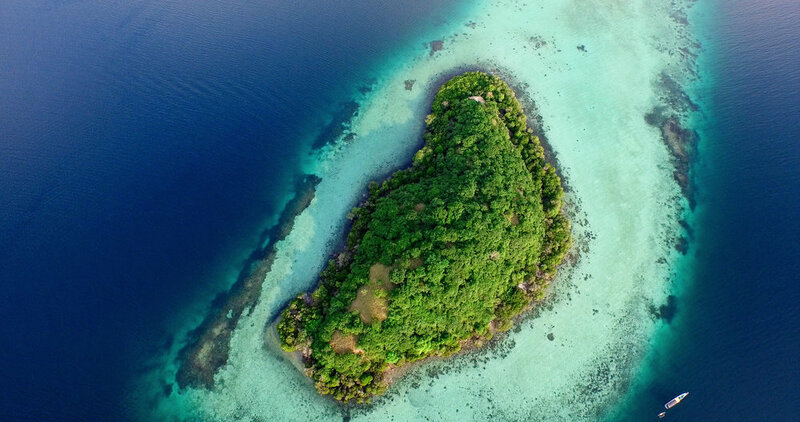 The name translates as ‘Four Kings,’ referring to the four main islands of Misool, Batanta, Waigeo and Salawati, which are in turn surrounded by approximately 1,500 wild islands with pristine beaches and sheer limestone cliffs plunging into aqua seas. Diving here is world-class, with some of the most pristine coral reefs on earth. Our yachts are also available for charters that take in Kaimana, Ternate, Ambon & the Banda Islands and Cenderawasih Bay over the winter season. Indonesia can be visited throughout the year, with different regions subject to individual microclimates. The weather is tropical and warm year round, split into the dry and the wet season. During the dry season in respective locations, the climate is less humid with cooler nights and sunny comfortable days averaging 28-degrees Celcius. The west of Indonesia (including Bali, Java, Lombok and Komodo National Park) is generally best visited between May and September. The east (including Papua, Raja Ampat and the Moluccas) is best visited between November and March. The shoulder months of April and October are ideal for embarking on a slightly longer once-a-year charter trip. During these months, boats migrate from one region to another, giving visitors the chance to experience a multitude of different regions and an exceptional combination of landscapes, cultures and marine environments. Ultimate Yachts can take care of all internal arrangements, so all that’s left for you to do is relax and look forward to your private yacht charter. Short internal flights are operated mainly on Silk Air, Garuda Airways, Wings Air, Lion Air and Air Asia. Some of these can be tricky to reserve from overseas, but we can arrange your flights for you through our trusted partners. 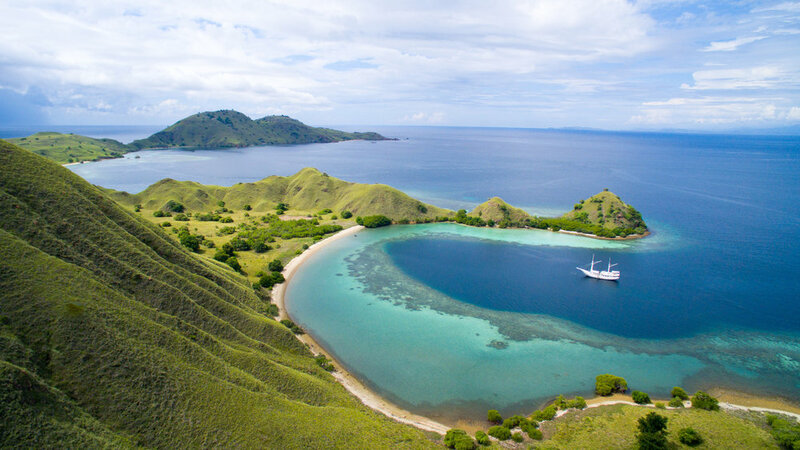 Indonesia’s most popular cruising grounds include Komodo National Park and Raja Ampat.